More robotics and artificial intelligence in the workplace doesn’t have to destroy your job. Michael Segal is a writer and editor-in-chief of Nautilus magazine. If you were beginning a career in computer programming in 2007, there were good times ahead: robust salary growth, the construction of the app ecosystem and economy, and the meteoric rise of social media. But if you happened across that August’s issue of Business Week magazine, you might have been discouraged. It predicted that the career most likely to suffer from job losses in the United States was … computer programmer. “They didn’t get it slightly wrong,” explains Roy Bahat, the head of venture-capital firm Bloomberg Beta in San Francisco, California. “They got it 180 degrees wrong.” Bahat might have had that misstep in mind when he co-authored a 2017 report1 into how work might change over the next 10–20 years. The report imagines four scenarios, in which there will either be more work or less, and work will either become fragmented or not. But it takes care not to pick winning or losing professions. Other studies, however, continue to try. Computer programmers are now deemed to be relatively safe, but different professions are now in the crosshairs, such as truck-driver. The International Transport Forum says there are about 5.6 million drivers of heavy trucks across the United States and Europe. But at least half-a-dozen start-ups and several established corporations are currently developing trucks that drive themselves. 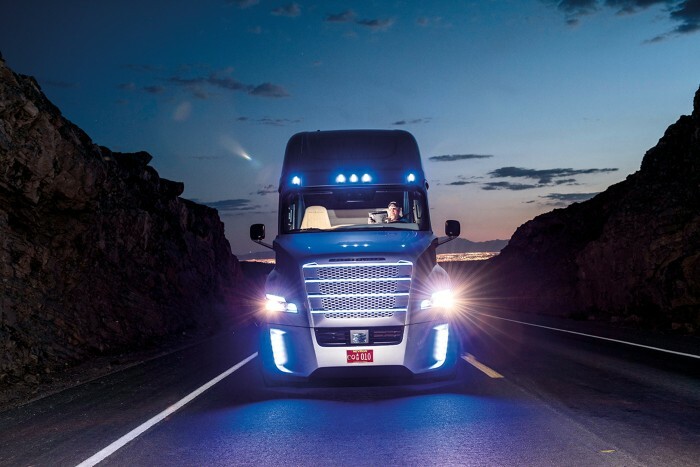 Some of them plan to put these autonomous trucks on the road within two years. In May 2017, the International Transport Forum warned that more than 2 million truck drivers could find themselves redundant by 2030. But not everyone is so pessimistic. Between June and September 2018, several reports into US trucking estimated lower job losses of hundreds of thousands or even fewer over the next decade. In February, ride-hailing company Uber’s Advanced Technologies Group even suggested that autonomous technologies could actually produce a net increase in trucking jobs — a result one economist derided as “not serious”. Uber has now abandoned its plans for self-driving trucks, focusing instead on passenger transportation. The extreme variability of forecasts might reflect the complexity of the question — but some economists say it shows that the wrong question is being asked. The next few decades, they argue, will not see a fight against automation, in which jobs are either lost or saved. Instead, it will be about how workforces adapt to the new technology. Job titles will change, new ones will be created, and new policy will be needed to help the less-fortunate survive and enable the more-fortunate to spearhead change. The robots are coming, not to take our jobs, but to change them. In 2013, economist Carl Frey and machine-learning researcher Michael Osborne, both at the University of Oxford, UK, predicted that 47% of US jobs were at high risk of being automated within two decades2. Some people viewed the claim as catastrophic. “It was like saying that all the volcanoes in the world are going to explode next year and we’ll all die,” says Glenda Quintini, an economist at the Organisation for Economic Co-operation and Development (OECD) in Paris. The fallout reached the artificial-intelligence community, where some researchers became concerned about the potential impact of their work. There was a sense of relief when a 2016 estimate proposed a figure of just 9%. 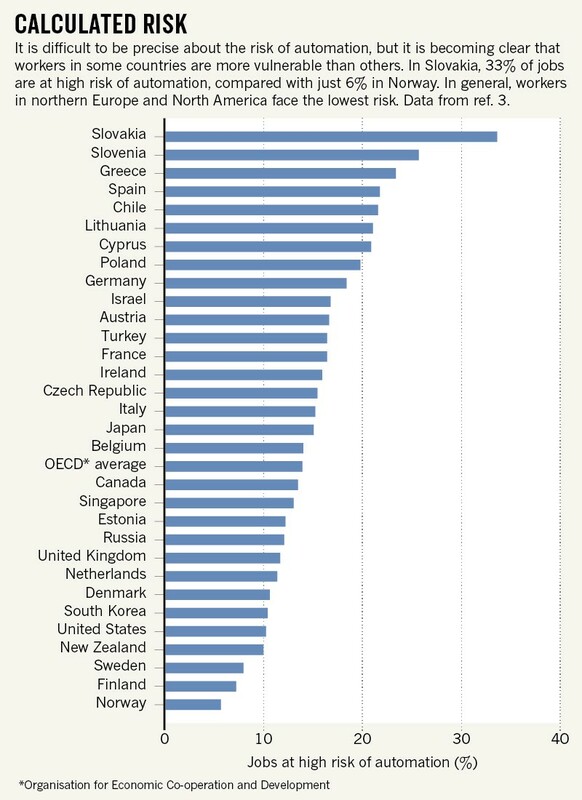 Quintini and a colleague published their own estimate3 this year, suggesting that 14% of jobs in OECD countries are at high risk. But even these lower numbers represent an enormous quantity of displaced workers. The automation of labour might be capturing our attention now, but it is not a new phenomenon. History can therefore provide clues about what might happen. Daron Acemoglu, an economist at the Massachusetts Institute of Technology (MIT) in Cambridge, recently studied4 the adoption of industrial robots — such as the robotic arms used in car manufacturing — in the United States from 1990 to 2007. He found that for every robot deployed, six workers within commuting range lost their jobs, and wages for those still employed fell by 0.7%. Both changes were partly counterbalanced by spill-over effects between commuting zones, such as reduced prices and increases in trade, leading to a population-wide loss of about three workers per robot and a 0.4% reduction in wages. But some economists had expected the spill-over effects to come closer to balancing out the job losses. “That’s the negative update,” Acemoglu explains. 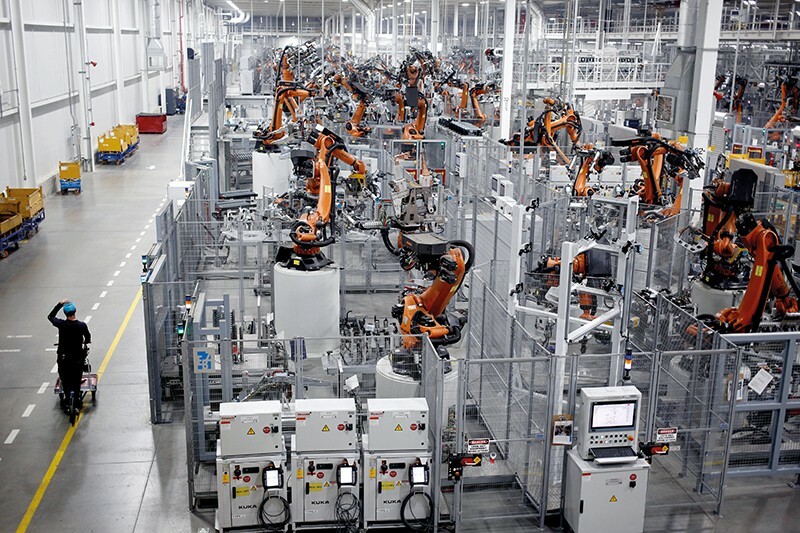 “Robots are creating displacement effects without generating enough productivity effects to soften the blow.” Car manufacturing, which has been the strongest adopter of industrial robots in the United States, has seen sharp declines in employment. Even so, the numbers are “not disastrous”, Acemoglu says. In the medium term, if roughly the same dynamics hold and the world’s stock of industrial robots quadruples by 2025 — the more aggressive of two projections made by the Boston Consulting Group in 2015 — we could expect unemployment in the United States to increase by about one percentage point. Based on the current level of unemployment there, that equates to the loss of more than 1 million jobs. “Trade with China probably led to twice that number of jobs being lost in the 2000s,” says Acemoglu. These estimates do not consider new tasks that would be created by the use of robots in other sectors of the economy. “They wouldn’t be created in the same labour market, and will take time to see,” Acemoglu explains. They can be important: from 1980 to 2007, half of the employment growth in the United States was accounted for by new job titles such as ‘management analyst’ and ‘radiology technician’, which emerged around 1980 and 1990, respectively. The early-twentieth-century economist Joseph Schumpeter described the process of innovation in capitalism as one of creative destruction, and both creation and destruction are easy to see here. The question, many economists say, is how to balance them. One balancing force is that, as automation takes hold, jobs will change to become harder to automate. Quintini found3 that jobs in Norway have nearly one-third lower risk of being automated than those in Lithuania, possibly because automation has advanced further in Norway and jobs have already been remodelled to include a greater social component (see ‘Calculated risk’). Such changes in the skills required for particular jobs can also be seen in the United States. David Neumark, an economist at the University of California, Irvine, found5 that the amount of easily automatable work performed by low-skilled US workers fell by 20% between 1980 and 2015. Erik Brynjolfsson, an economist at MIT, argues against focusing on job losses as the central effect of automation, because it is rare to see an entire job automated. “Reinvention and re-engineering of jobs is the key story,” he says. The question is less about whether a job will survive, and more about whether it will still be recognizable. For example, although the job of bank cashier accounts for a smaller share of employment now than it did 50 years ago, cashiers have survived the arrival of automated cash machines much better than most predicted, partly by focusing on customer care. Shelia Cotten, a sociologist at Michigan State University in East Lansing, thinks that something similar will happen to truckers in the next few decades. She led a study6 on trucking and automation that predicts that job losses among professional drivers will be relatively mild, at least until 2030, with figures in the low hundreds of thousands. Taxi drivers and chauffeurs will be most affected; truck drivers should see no significant job losses in that time frame. The role of truck driver is on the verge of transformation, not elimination, she says. Even if technology means that a human is no longer needed behind the wheel all the time, “trucking and delivery includes a lot of skills and tasks that are probably going to be very hard to automate”. Truckers may still be required to take over driving duties for the last kilometre of a delivery, drive at the head of a drone convoy, keep a vehicle in working order, or oversee new warehousing technologies. Adding a technical dimension to the role might even revitalize it, Cotten says. Despite growing demand for their services, the average age of US truck drivers has been rising for some time. “Thirty or forty years ago, trucking was sexier,” Cotten explains. Remaking the profession as a technology job could help to attract younger people. If the people who build them are right, driverless trucks will be with us an order of magnitude faster than the century it took for agricultural labour to fade. But this is far from guaranteed. It could even be argued that the clock started ticking some time ago, because the technology underlying autonomous vehicles has been in development since at least the 1950s, and truckers have been using driver-assistance technologies, such as cruise control and collision-mitigation systems, for decades. But even if the pace of technological change is faster this time, there is no guarantee that people’s jobs will also change at a faster rate. “Maybe technology is accelerating, but I’m not convinced that it is accelerating changes in the labour market,” says Quintini. Human institutions are slow to change, and that might give the labour market the breathing space it needs. If we have do a cause for concern, it might come down to how we change those institutions. 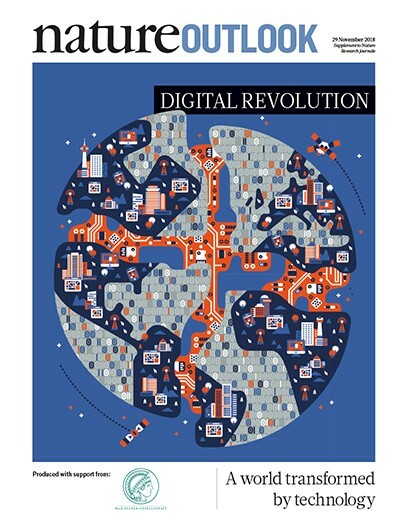 Compared with previous technological revolutions, such as electrification or the rise of the Internet, which were successful from the point of view of labour, the course that automation is taking has already diverged in worrying ways. For instance, automation technologies, and artificial intelligence in particular, are being introduced and controlled by comparatively few companies. This reduces the probability of the broad spillover effects that can balance out job losses. “It’s hard to see that that’s going to happen if a couple of mega-companies control it,” Acemoglu says. A decade-long decline in US federal funding for research, he adds, makes it even harder to address the issue. Another problem is that education is not improving as quickly as it did during previous technological revolutions. The successful transition of the US labour force away from agriculture was achieved with an unprecedented educational effort. “High school expanded hugely,” Acemoglu says, “creating the skills that would be necessary for creating clerical and manufacturing jobs.” But this time, such improvements are scant. “Our education sector is completely failing,” Acemoglu says. Tax and transfer policy is part of one of the longest-running debates in Western capitalism: the role of the welfare state. In the United States, discussions around progressive taxation and government support for retraining, relocation and child support — which help workers take advantage of new job opportunities — can feel moribund. But some peculiarities of tax and wage policy serve to encourage automation without intending to. “What we do at the moment in the United States, and to some degree in other countries, is tax labour and subsidize capital,” says Acemoglu. The effect is to encourage automation, even when it does not improve productivity. For example, if a company hires ten workers, it needs to pay a host of labour-specific costs, such as taxes and pension contributions. If, instead, it buys a machine to do the jobs of ten workers, not only does it avoid those costs, but government policy effectively subsidizes its interest payments on the purchase. Similarly, the enthusiasm in large US cities for rapidly increasing minimum wages acts as an incentive to automate by effectively taxing hiring. Both Brynjolfsson and Neumark think that wage support that narrowly targets vulnerable populations, such as earned-income tax credits or wage insurance, is a better policy. 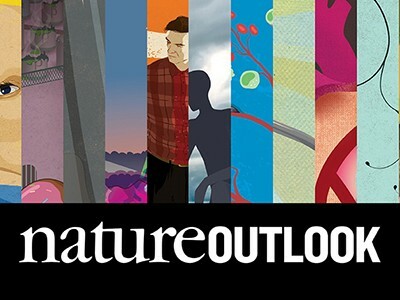 This article is part of Nature Outlook: Digital revolution, an editorially independent supplement produced with the financial support of third parties. About this content. Slaughter, A.-M. et al. Shift: The Commission on Work, Workers, and Technology. Report of Findings (New America & Bloomberg, 2017). Frey, C. B. & Osborne, M. A. The Future of Employment: How Susceptible Are Jobs to Computerisation? (Oxford Martin School & Univ. Oxford, 2013). Nedelkoska, L. & Quintini, G. Automation, Skills Use and Training. OECD Social, Employment and Migration Working Papers, No. 202 (OECD Publishing, 2018). Acemoglu, D. & Restrepo. P. Robots and Jobs: Evidence From US Labor Markets. NBER Working Paper No. 23285 (NBER, 2017). Lordan, G. & Neumark, D. Labour Econ. 52, 40–53 (2018). Yankelevich, A. et al. Preparing the Workforce for Automated Vehicles (American Center for Mobility, Michigan State Univ. & Texas A&M Transportation Institute, 2018).